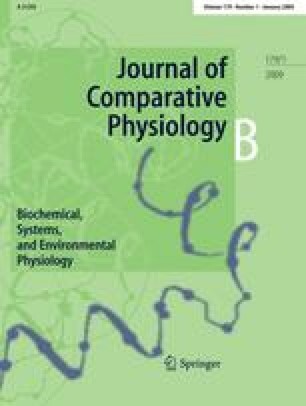 Lessons from comparative physiology: could uric acid represent a physiologic alarm signal gone awry in western society? Uric acid has historically been viewed as a purine metabolic waste product excreted by the kidney and gut that is relatively unimportant other than its penchant to crystallize in joints to cause the disease gout. In recent years, however, there has been the realization that uric acid is not biologically inert but may have a wide range of actions, including being both a pro- and anti-oxidant, a neurostimulant, and an inducer of inflammation and activator of the innate immune response. In this paper, we present the hypothesis that uric acid has a key role in the foraging response associated with starvation and fasting. We further suggest that there is a complex interplay between fructose, uric acid and vitamin C, with fructose and uric acid stimulating the foraging response and vitamin C countering this response. Finally, we suggest that the mutations in ascorbate synthesis and uricase that characterized early primate evolution were likely in response to the need to stimulate the foraging “survival” response and might have inadvertently had a role in accelerating the development of bipedal locomotion and intellectual development. Unfortunately, due to marked changes in the diet, resulting in dramatic increases in fructose- and purine-rich foods, these identical genotypic changes may be largely responsible for the epidemic of obesity, diabetes and cardiovascular disease in today’s society. Dr Johnson is listed as an inventor on several patent applications related to the role of uric acid in hypertension and metabolic syndrome; Dr Johnson is also an author for a book on fructose and uric acid (The Sugar Fix) that was published by Rodale in 2008. Supported by US Public Health Service grants HL-68607 (RJ), DK-52121 (RJ).